Session 3 on The Role and Relevance of Religion in Building Inclusive, Peaceful and Prosperous Societies was moderated by Mr. David Fraser Harris, Secretary General, UPF Middle East. 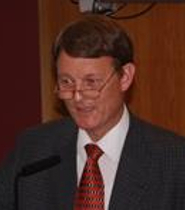 Dr. Viggo Mortensen, Professor emeritus in Systematic Theology, University of Aarhus, Denmark. Mr. Shlomi Perlmuter, Senior Lecturer, Elul College, Israel. Dr. Raffaella Di Marzio, Director, Center for Studies on Freedom of Religion, Belief and Conscience (LIREC), Italy. Group photo after Session 3 on The Role and Relevance of Religion in Building Inclusive, Peaceful and Prosperous Societies. Session 3 - The Role and Relevance of Religion in Building Inclusive, Peaceful and Prosperous Societies. Dr Rafaella di Marzio (Director, Center for Studies on Freedom of Religion, Belief and Conscience (LIREC), Italy) spoke on the positive influence of religion in society, referring to a number of studies, including an awareness project on minorities, the role of interfaith dialogue in conflict resolution, and religious freedom as a positive influence on economic growth. 2018 - 180428 - ILC Vienna Session 3 - The role of religion in building Inclusive, Peaceful and Prosperous Societies from UPF Europe on Vimeo.